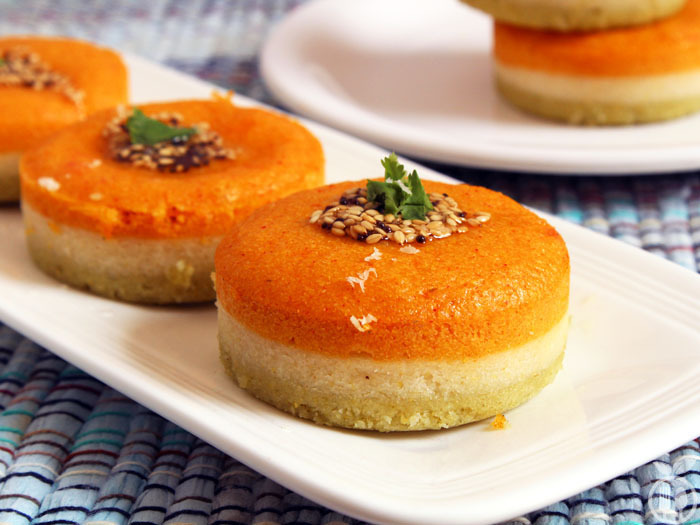 Tri colored Masala Dhokla OR Layered Sandwich Dhokla – Fermented & steamed savory rice and lentil cake. A perfect recipe to celebrate India’s Independence Day. HAPPY INDEPENDENCE DAY!!! 15th August is the most valuable day for every Indian to celebrate our abundance freedom.